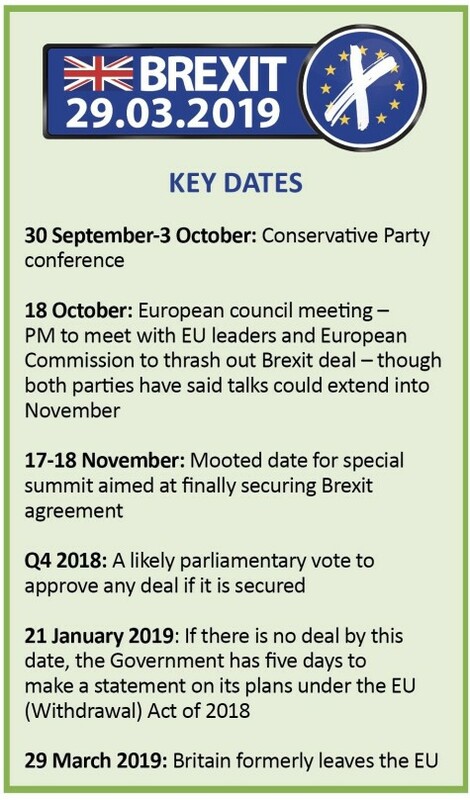 Political risk continues to be front and centre for investors in 2018 with the risk of a disruptive no-deal Brexit on the rise after a tense EU summit in Salzburg which, in the words of prime minister Theresa May, have left negotiations at an impasse. Some observers suggest the prospect of a Labour government led by Jeremy Corbyn is a bigger concern for financial markets and at its party conference in Liverpool the party has detailed radical plans to force companies with 250 employees or more to hand over up to 10% of their shares to workers. The basic outline is firms would be forced to create ‘Inclusive Ownership Funds’ and transfer at least 1% of their stock into said fund each year up to a maximum of 10%. Workers would also be paid dividends from this fund of up to £500 per individual with whatever was left over going back into public services. Labour reckons this ‘social dividend’ would be worth £2.1bn by the end of its first term in government. Adam Marshall, the director general of the British Chamber of Commerce, describes the proposal as a ‘tax grab and an unprecedented overreach into the way many businesses are run’. Labour members are set vote on whether the party should support a referendum on the terms of the UK’s exit from the EU, although the option of remaining looks unlikely to feature on any ballot based on comments from the Labour leadership. Any market reaction to the Conservative Party conference is likely to be linked to machinations over Europe with sterling enduring a large drop against the dollar on 21 September amid the fall-out from Salzburg. Will Aston Martin shares be a luxury you can’t afford? Will the new boss of London Stock Exchange seek a mega M&A deal? Could it pay to breach the pensions lifetime allowance? What does the launch of Jack’s really mean for Tesco shareholders?